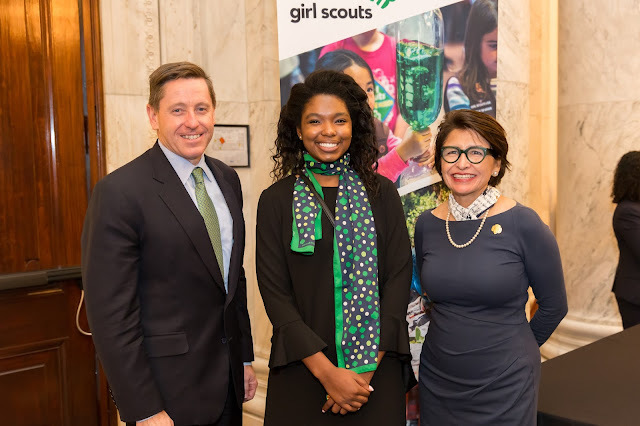 For National Cyber Security Awareness Month, Girl Scouts, members of Congress, and the CEOs of Girl Scouts of the USA and Palo Alto Networks gathered for Cybersecurity Day on the Hill. Sponsored by a bipartisan group of members of Congress, the event was designed to inspire the next generation of female cybersecurity professionals and encourage dialogue between the public and private sectors about developing a diverse talent pool to solve our toughest cybersecurity challenges. Girl Scouts who attended were able to stretch their problem-solving skills with a hands-on activity that taught them how to run a “traceroute” to identify the path that data packets take to get from a source computer to a destination. Volunteers from Palo Alto Networks guided the girls through the activity, allowing them to work alongside experts in the field of cybersecurity. The event also featured a conversation between Palo Alto Networks CEO and Chairman Mark D. McLaughlin and GSUSA CEO Sylvia Acevedo about the need for a more diverse workforce in cybersecurity. The conversation was moderated by Lauren Prox, a Gold Award Girl Scout alumna from Girl Scouts of the Colonial Coast in Virginia and industrial engineering student at Clemson University. 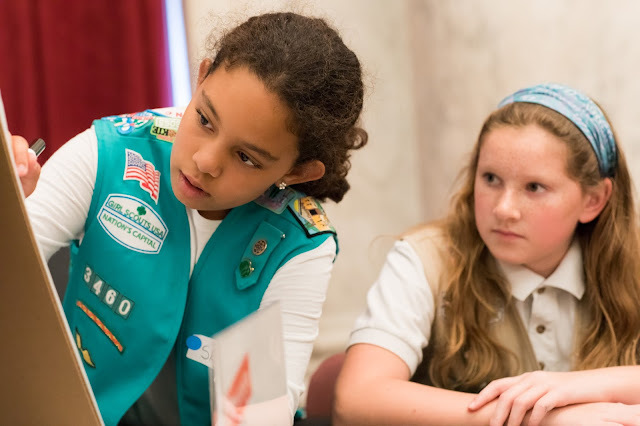 Lauren credits her interest in STEM to Girl Scouts—in fact, her Gold Award project involved educating youth in her community about STEM. The announcement earlier this year of the collaboration between Girl Scouts and Palo Alto Networks included the news that cybersecurity badges will be developed for girls of all ages—at the DC event, Sylvia and Mark discussed this process, including the role of the badge development working group made up of representatives from Palo Alto Networks and Girl Scouts, as well as cybersecurity educators and experts. 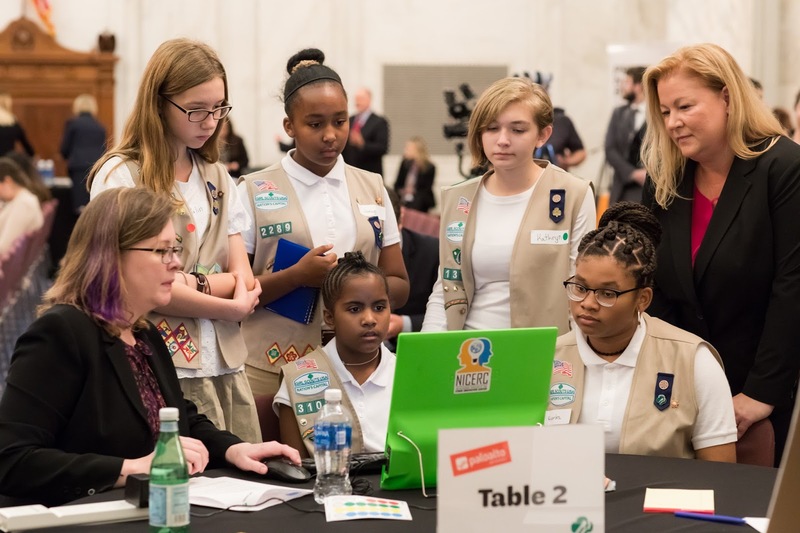 Once the badge curriculum is ready, it will be tested with troops across the country, with a special focus on troops in areas not traditionally known as “tech hubs,” where girls may not otherwise have access to cybersecurity resources. 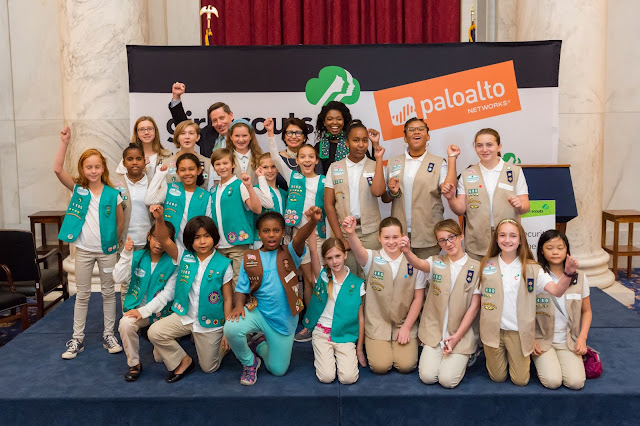 Learn more about the collaboration between Girl Scouts and Palo Alto Networks.